The ADAC GT Masters is a grand tourer-based auto racing series. Each event consists of two races, with a duration of 60 minutes. The drivers must make a pit stop during each race and switch drivers, with the drivers also swapping their driving order from one race to another. In the first race usually the amateur driver drives the start, this leaves the professional driver to drive the start in the second race of each round. 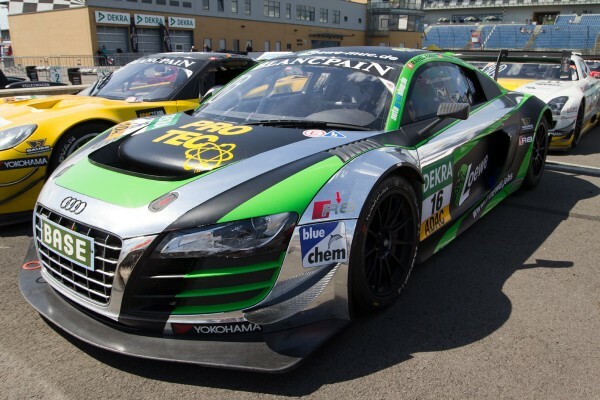 This is the race-car from YACO-Racing Team in saison 2014. 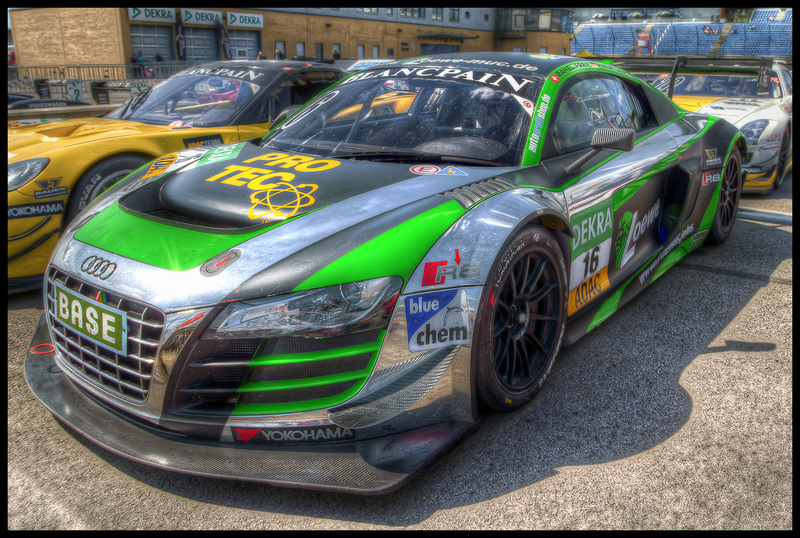 We see an Audi R8 LMS ultra is parked behind pit-Lane area in the Parc fermé.